Want to learn how to use Quercus? Do I have a solution for you! 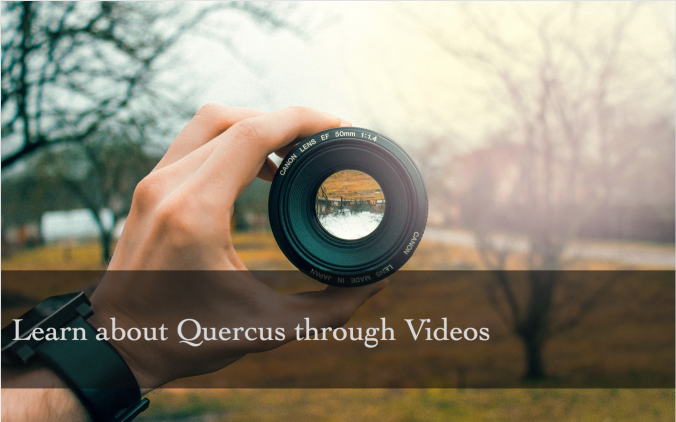 There are lots of videos that can teach you the different tools on Quercus. Canvas is the learning platform that runs Quercus. So, sit back relax and hit play! Get an overview of the learning system Canvas. Also, known as Quercus to us at U of T. Look over Student Quercus Guide for Introduction and Overview on Quercus. 200 – Canvas Overview for Students from Instructure Community on Vimeo. 226 – Dashboard Overview for Students from Instructure Community on Vimeo. Learn about what assignments are and how you can submit your work for all your courses. 213 – Assignments Overview from Instructure Community on Vimeo. 214 – Assignment Submissions from Instructure Community on Vimeo. 215 – Peer Reviews from Instructure Community on Vimeo. Learn useful tips on how to take quizzes on Canvas. Student Quercus Support can help you gain more knowledge on Quizzes Tool. 219 – Quizzes from Instructure Community on Vimeo. Learn how to view and understand how the grades tool on Canvas works. Gain more knowledge from the Student Quercus Guide on Viewing Grades. 217 – Grades from Instructure Community on Vimeo. Learn how to navigate and use the discussion board properly. 218 – Discussions from Instructure Community on Vimeo. Learn about the different ways you can collaborate with your peers on assignments or class discussions. From the Student Quercus resources learn more on the Group Tool. 216 – Groups: Creation and Interaction from Instructure Community on Vimeo. Learn the different tools Canvas has to help you communicate with your instructors and peers. 223 – Chat from Instructure Community on Vimeo. 211 – Communication from Instructure Community on Vimeo. Learn how to make the calendar tool benefit you. Learn more from the Student Quercus Guide about Viewing the Calendar. 221 – Calendar from Instructure Community on Vimeo. Learn about what files is and how you can use it for yourself. 212 – Files from Instructure Community on Vimeo. Learn about the Canvas student app and how you can make it benefit you. The Student Quercus Guide has more information on the Canvas Student App. 224 – Canvas Student App from Instructure Community on Vimeo. Did you know about Lynda.com? Well it’s an amazing on-line learning resource with instructional videos taught by exports. Learn more about Lynda.com.